Scams of all kinds have probably been around since time immemorial. Now with the ever-present internet in our daily lives, scams are becoming more common and sophisticated from Nigerian inheritance notifications arriving in our inboxes to fake charities looking for donations to potential love interests on dating websites asking for financial assistance from desperate singles in search of romance. Competitions can also be scams with fake organisers luring willing participants with promises of big prizes then collecting personal data that they then pass on or banking details they can then access. I haven’t been targeted for too many scams yet although I do have the occasional email informing me that I have won something. When I look a little further into it I know I haven’t won because I also know that I haven’t even entered it. Most of these come from overseas and I never enter international competitions because I am rarely eligible. Mostly these come into my spam box so these are fairly easy to detect and delete. What I do find irritating is the phone calls I get from businesses and charities after filling out an entry form with a questionnaire. I assume the information and contact details are passed on without my awareness. They aren’t exactly scams though and I can handle them. Thank heavens for caller ID! Check that the competitions you are entering are legitimate by looking to their websites. Do a Google search or contact then my email or phone if you are not sure. Only provide as much personal information in an entry form that you are comfortable with. If you think they ask for too much, give it a miss. Don’t fall into a trap of handing over money or providing your banking details in order to claim a big prize (or any prize for that matter). Legitimate competitions don’t require this. If you get an email saying you are a winner or have won a prize, do not reply straight away or click on any links, even ‘unsubscribe’ until you have checked that you have actually entered it and it is legitimate. Be wary of filling our long detailed questionnaires attached to of following an entry form. The organisers are most probably compiling the information to sell on to third parties who will definitely contact you in the near future. Compare notes with other compers in Forums or chat rooms or with your comping friends. Others have probably been scammed (or at least approached by scammers) before and will often have good advice on these and other matters. The best advice to follow is simply the old saying ‘if it looks too good to be true, it probably is’. It is easy to get carried away by the mention of ‘win’ or ‘prize’ and don’t assume that the world is a safe place to spend time. It isn’t so take care because according to the government website ScamWatch (www.scamwatch.gov.au) Australians are handing over $7million a month to internet and telephone scammers. Unexpected prize scams can involve an email, phone call or SMS with the notification of a fake prize where you are encouraged to call a 190 number (which can be very expensive) in order to claim it. Scams hurt many people so if you think anyone you know is being targeted by a scammer, report it immediately through the scamwatch website or call 1300 795 995 to spread the word. 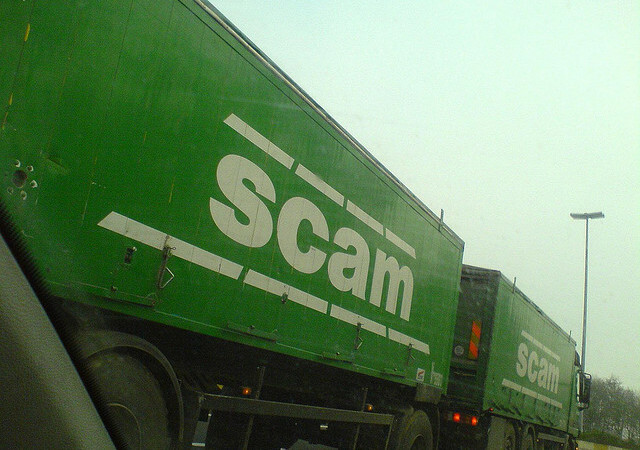 Having said all that about scams there are still hundreds, if not thousands of competitions operating at any given time for real run by reputable companies and organisers. What I have decided to do (for the next few months at least) is to make a list f my favourite products and brands and websites that I can trust and stick to those competitions for a while until I find my comping feet and keep a watchful eye out for scammers.